Torah Bright on snowboarding and dancing with the stars. 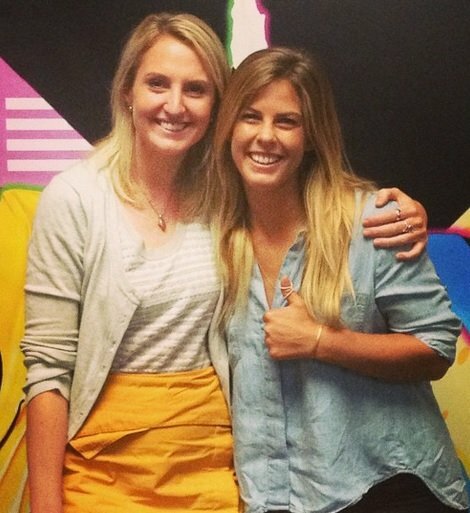 Why Torah Bright really did Dancing with The Stars. From November to May, then July to November you’re surrounded by snow, crisp icy air and mountains covered in powder. This is the life of snowboarding legend Torah Bright. This year will be the first time Torah has spent Christmas in Australia for 15 years, and she can’t get enough of it. I was lucky enough to get some time with Torah, to talk about snowboarding, keeping fit and healthy and about her new passion – dancing. Here’s what the bubbly Cooma local had to say. TB: I grew up in Cooma, near the Snowy Mountains and my parents skied – it was just what we did as a family. They [my parents] just taught the kids how to ski. When I was about 2 years old I think, we all got on skis. I didn’t start snowboarding until I was about 11- and once I tried snowboarding, I was done with skiing. I think what hooked me on snowboarding was that I saw the mountain in a totally different way. I saw it as if it was a blank canvas where I could just go and do whatever I wanted. I still love to ski but the free style, but the free aspect of snowboarding is what stole my heart. Did you always know you wanted to pursue it professionally? TB: No not at all. It’s not something that I even thought was a possibility when I started – I just…loved it, loved doing it. I didn’t know that there was a world outside of the little world I had – I didn’t know that there was an industry, I knew nothing. But then I just started being asked to go on shoots and travel and Mum and Dad allowed me to take those opportunities and then all of a sudden I’m competing in Italy in the Junior Worlds and I got a podium there and then the next year I’m like, ‘I’m going overseas again.’ I ended up in Big White and Whistler in Canada and after that season it was on – I never spent another year at home in summer…. (laugh)…until now. Big thumbs up from Torah. As an elite athlete how do you stay fit? What do you do? TB: Lots of different things. But I need a base strength, definitely. The stronger you are, the quicker you bounce back from injury – you don’t get hurt. You’re strong too. My winter kind of starts from November and goes through May. And then I’ve got June where I just take off, go on a surf trip and then in the middle of July I’m back in Australia doing the winter – so there’s a really short period before the Southern winter and before the Northern winter that I work in physical training. There’s a little bit of gym work but mostly just being active and not using heavy weights – if I can squat my body weight cool, but I try and do workouts that really relate directly to my movements in snowboarding. So it’s light weight, but a lot of reps and explosive movements. TB: I grew up with a mother who was an absolute health fanatic – I don’t think I knew what sweets were until I went to school. Mum would make her own bread – like everything that is cool and hip and new age now, my mum was doing 30 years ago. So she gave us a good head start in that realm. But that being said, I like to binge – I love chocolate. I think when I listen to my body I give it what it wants and I eat pretty clean wholesome foods: meat when I feel like it and lots of fruit and veg. What about when you’re out on the slopes all day? TB: I take a protein shake and some bars, nuts – just anything, whole-foods. One ingredient. You moved from the slopes to dancing – tell me about it. How was Dancing with the Stars? TB: It’s funny, I couldn’t think of anything worse than Dancing with the Stars and I’d said no to it since the Vancouver Games. And I was at Thredbo dancing – not this past winter the winter before – and on the dance floor there was this French man who took me for a spin and he was spinning me and tipping me and everything and I thought ‘Oh my gosh’ – it was the best night on the dance floor I’ve ever had. So I decided if I got asked to go on Dancing with the Stars again I was going to do it. That was the motivation. It was a really, really cool experience. Intense, in different ways than I ever thought – I knew it would be physically demanding and I’d be on my feet all day but it was like – I guess I didn’t quite think that it would be this like show biz. You have to act and bring out all sorts of different emotions. So I definitely grew in ways that I didn’t expect. Which was challenging and exciting and hard at times. How often do you have to be training and practising the dances? TB: It consumed my life. I was writing an autobiography at the same time, and after dancing all day I’d come home – I wouldn’t even change from my gear. I’d just get straight on my computer and work it out with the edits coming through, and then I’d go to bed and do it all over again. It was crazy, I think I had one day off in two months. And then my toe injury and I had to leave. We thought you were good at this Torah. Then you’re dancing career was over – until Just Dance. How did you get involved? TB: It was actually before Dancing with the Stars came along. Dancing has always been a part of my life – if there’s music I dance. Dancing makes me happy, so it’s actually just a really easy thing to do. You know, I’ve always had the dancing games or the singing games at home. I’ll get on the Wii with my little friends and – so it just works. I’ve played it with my nieces and you just follow it – my nieces were good. Do you think games like this are important for kids to have – instead of sit down consoles? TB: Yeah, in this day and age I think kids get addicted to video games, but it’s the active ones that actually add value instead of sitting on the couch and twiddling your thumbs. So I think these types of games are awesome. And dancing just makes you feel happy. Are there any similarities between dancing and snowboarding? TB: You use your body. And they both make me happy. – Canberra United and Perth Glory will play in the women’s W-League soccer final this Sunday. The game will be held at Perth’s NIB Stadium and kicks off at 3pm. Good luck to both teams – we’re sure it’ll be a nail biter. – Australia took out the bronze at the Roller Derby World Cup in the US this week. The cup was held in Dallas, Texas and started in early December. Australia claimed victory over Canada 197 – 128 this week to take out third place. Well done girls. – 18-year-old Minjee Lee is a rising Australian golf star – taking the golfing world by storm. The youngster is aiming to partner with Karrie Webb for the 2016 Olympics. This news has come after the young Perth local returned from five qualifying rounds in Florida. She secured her spot in next year’s rich LPGA tour at just 18. She has finished in the top 25 in three women’s majors this year with a very bright future ahead of her. What sport are you playing or watching this weekend?